The theory is based on remarks by Giovanni Catelli, an Italian academic and poet, who noted that a passage in a diary written by the celebrated Czech poet and translator Jan Zábrana, and published as a book entitled Celý život, was missing from the Italian translation. In the missing paragraph, Zábrana writes: "I heard something very strange from the mouth of a man who knew lots of things and had very informed sources. 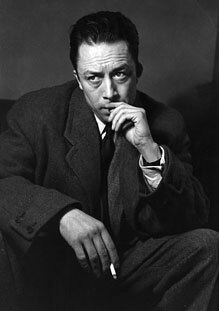 According to him, the accident that had cost Albert Camus his life in 1960 was organised by Soviet spies. They damaged a tyre on the car using a sophisticated piece of equipment that cut or made a hole in the wheel at speed. In 1957, Camus became the second youngest recipient of the Nobel Prize for Literature, awarded to him “for his important literary production, which with clear-sighted earnestness illuminates the problems of the human conscience in our times.” He died January 4, 1960, a little more than two years after winning the award.